Please fill out the following form to receive current pricing and availability information for commercial (bulk) ammunition sales. Commercial Orders are in pallet or Container (approx. 15 pallets) quantities only. Average quantities available are approx. 1.5 million rounds per caliber per month. Time delivery shipments available. Karl Lippard Ammuntion is the finest ammunition in the world today and is made in the USA. Karl Lippard holds pistol world records for 500, 600, and 1000 yards. Current retail pricing for non-bulk ammunition orders will be provided here as it becomes available in 1000 round minimum quantities. 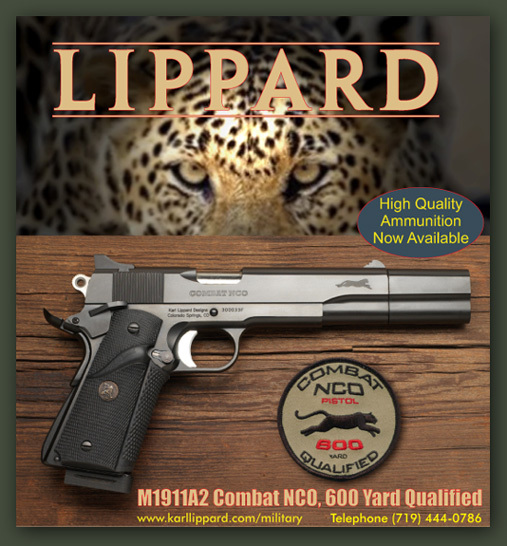 Combat NCO® and 1911 A2® are registered trademarks of Karl Lippard Designs. All content © 2012 All rights reserved.